Just east of Joliet, Illinois the Rock Island maintained a small engine house and servicing facility. 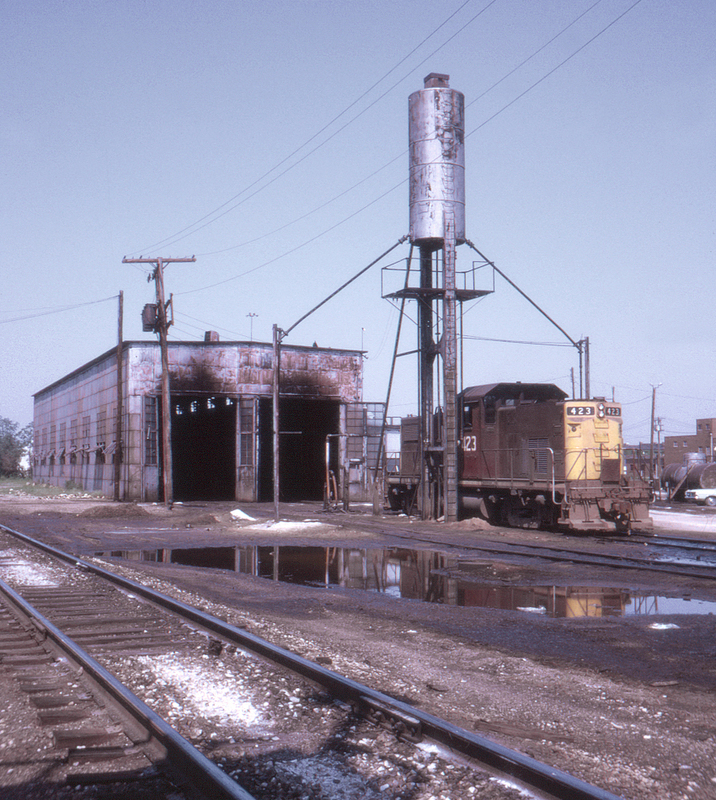 The Rock Island had a number of these unusual Alco C-415 center-cab switchers. This page posted 9/1/2017. Text and photo ©2017 Lamont Downs.